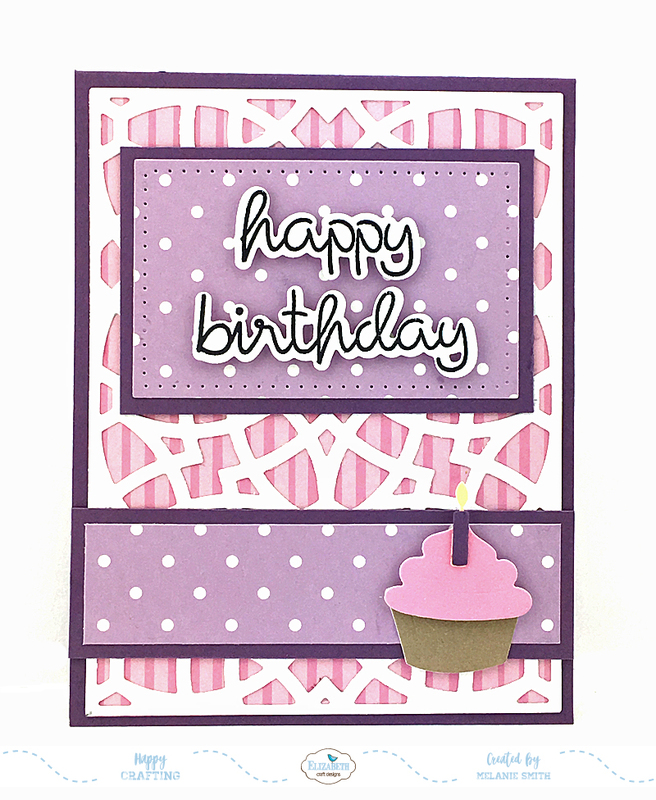 along with a few embellishments from Stampin' Up! 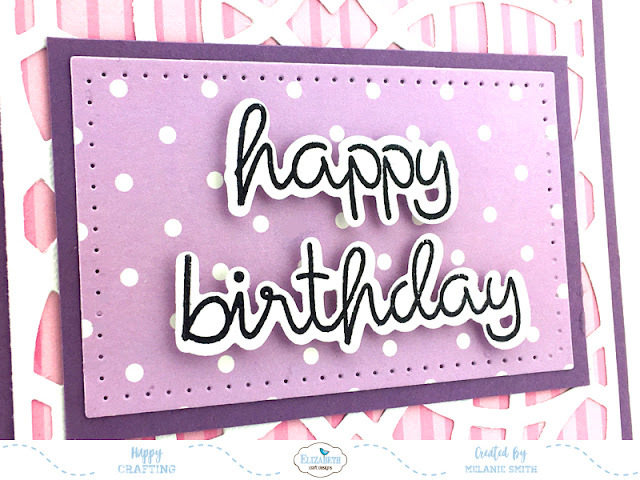 Today I am sharing a really fun birthday card made from some really adorable Elizabeth Craft Designs' Dies. 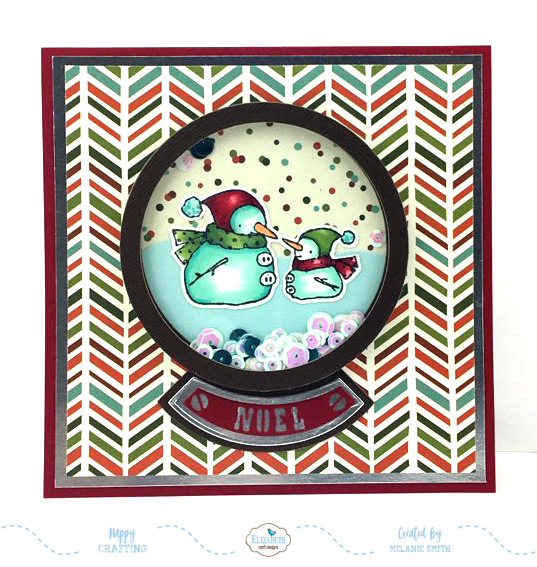 This card is for our Monthly Challenge over on the ECD Challenge Blog. 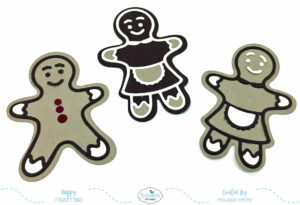 Check it out for your chance of winning this weeks gift card. This card was both simple and really fun to make. 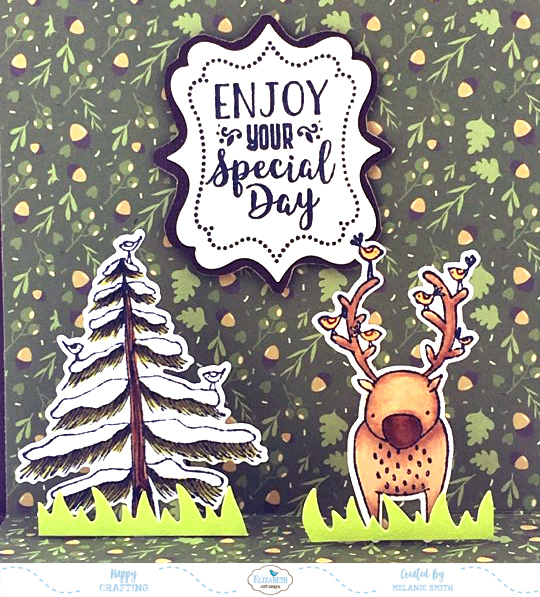 I absolutely love these new stamp & die cut sentiments. 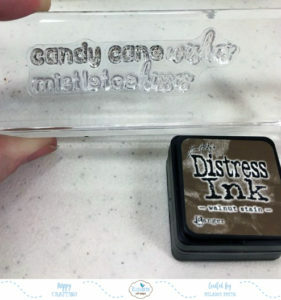 Gives you so many options with one stamp die duo. 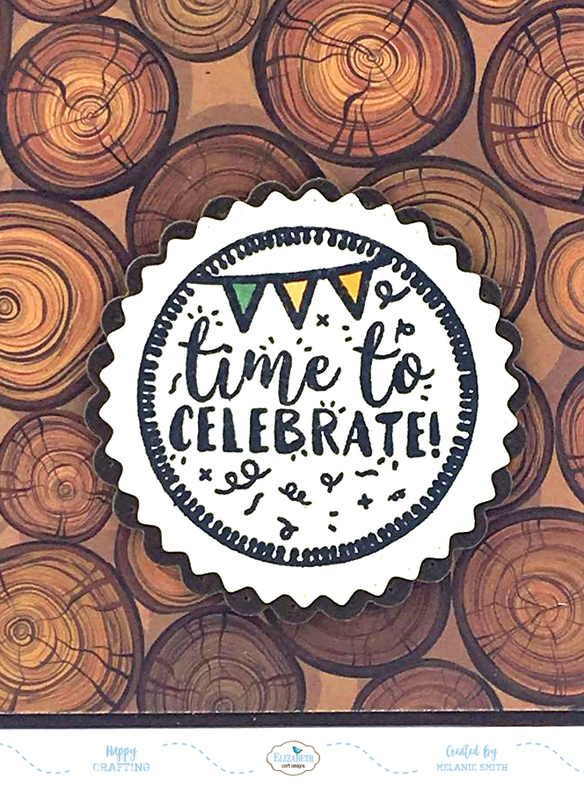 I love ways to make my money go farther and these fit that and then some.... We actually have two different coordinating sentiment sets like this now so make sure to check them both out. 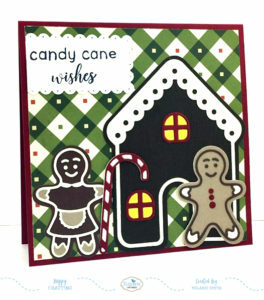 Today I have a fun wintry card to share with you all. 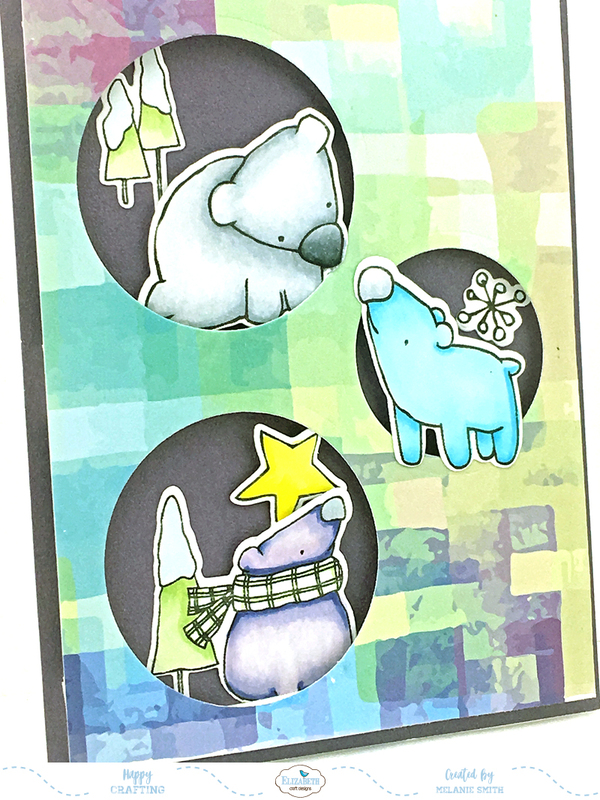 This card is for Elizabeth Craft Designs and is focused on coloring these precious "Winter Bears". 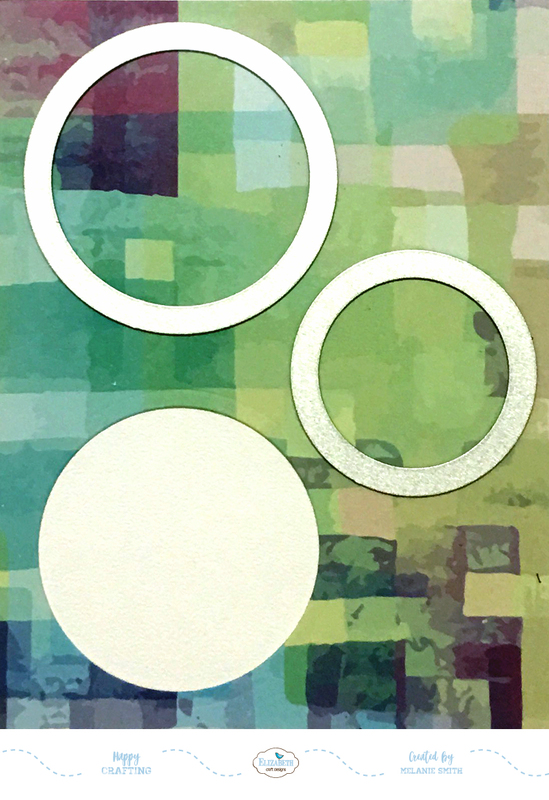 I absolutely love how the Copic colors turned out and how they matched the ModaScrap paper line so perfectly. Color your "Winter Bears" using Copic markers (listed below) and die cut using the coordinating die set. 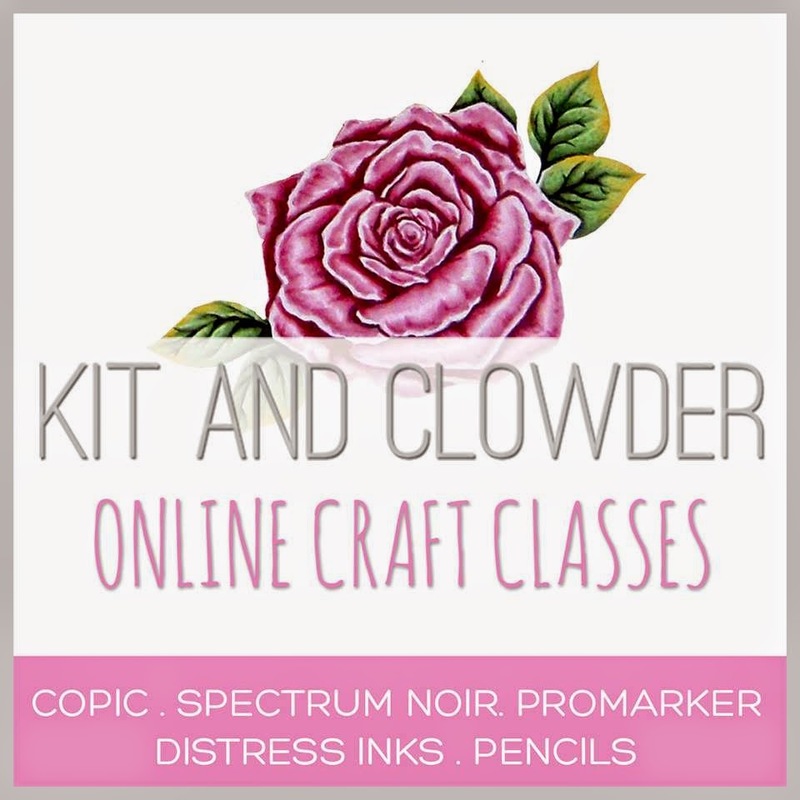 When coloring choose colors that match your focal paper. 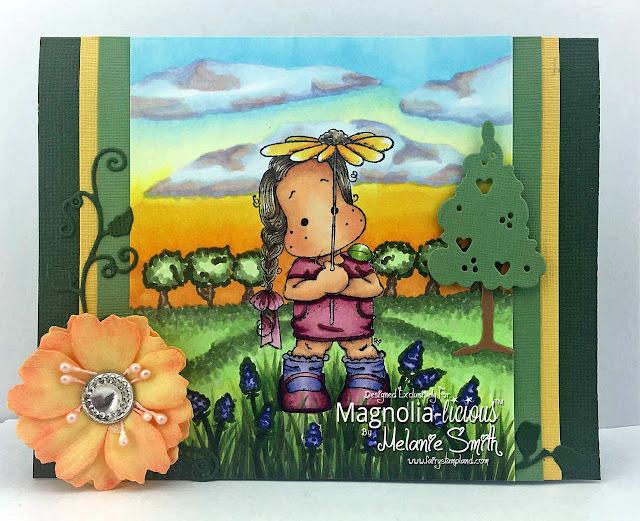 "Fly & Scrap" by ModaScrap was featured here. Cut your base card at 4" 1/4" x 11" score and fold in half from any dark colored Soft Finish card stock. Perfect Purple was used in this sample. 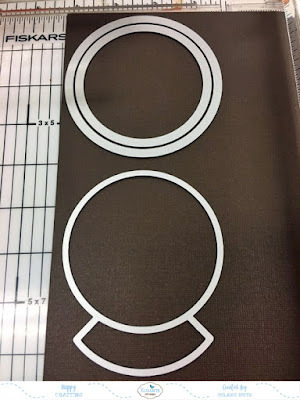 Cut your focal paper to 4" x 5/1/4"
Using the Fitted Circle dies cut our windows in the top focal paper. 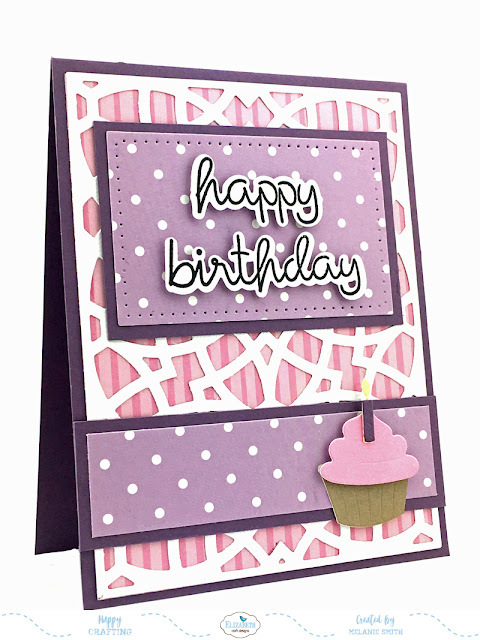 This adds depth and contrast to your card, especially if you use foam tape to pop up the layers even more like seen here. 5. 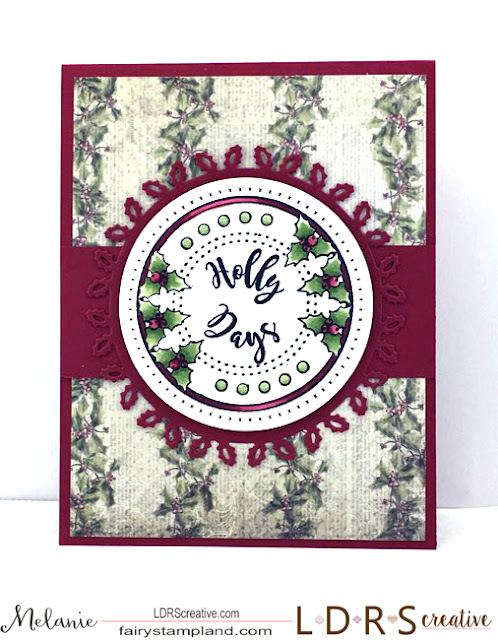 Lastly used two layers of foam tape as seen in photo above and then using lots of the accessory pieces ad layers with some pieces glued to the card base and some glued to the top layer. 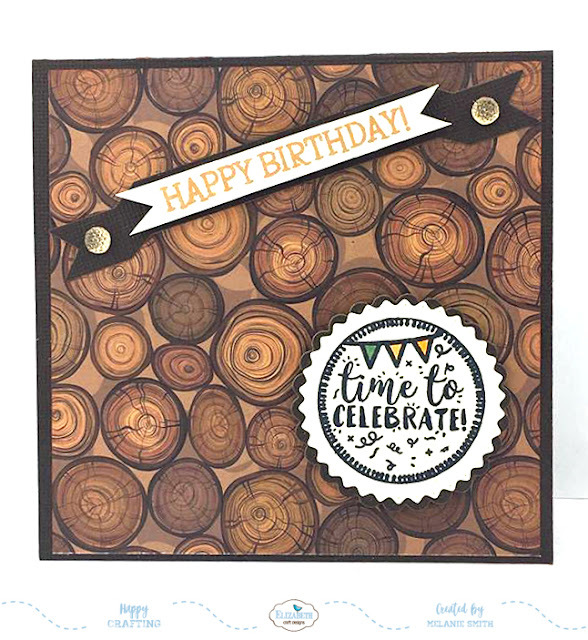 Fly & Scrap 12x12" Paper <<<<<< THIS PAPER IS BEAUTIFUL!!!!!!!! 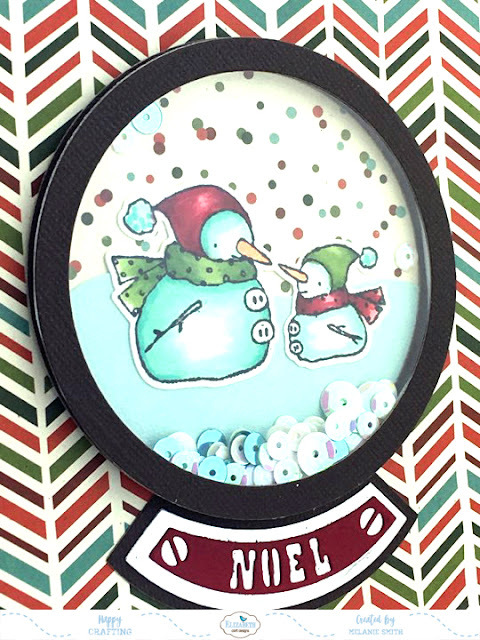 With the chilly days quickly approaching I just had to play with this adorable Stylish Snowman die set. I love how many options you have with the set. 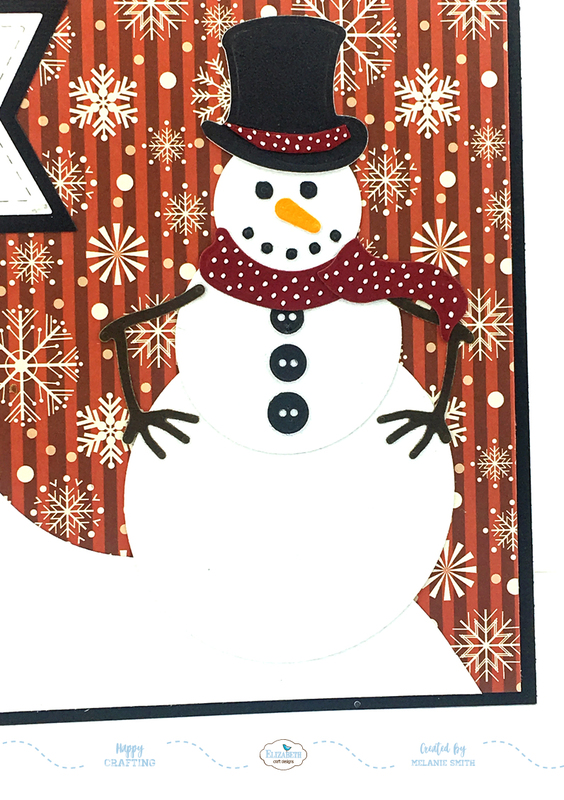 I used a typical top hat and scarf but you can also dress up your snowman with two other hats OR EVEN reindeer antlers, How cool is that? 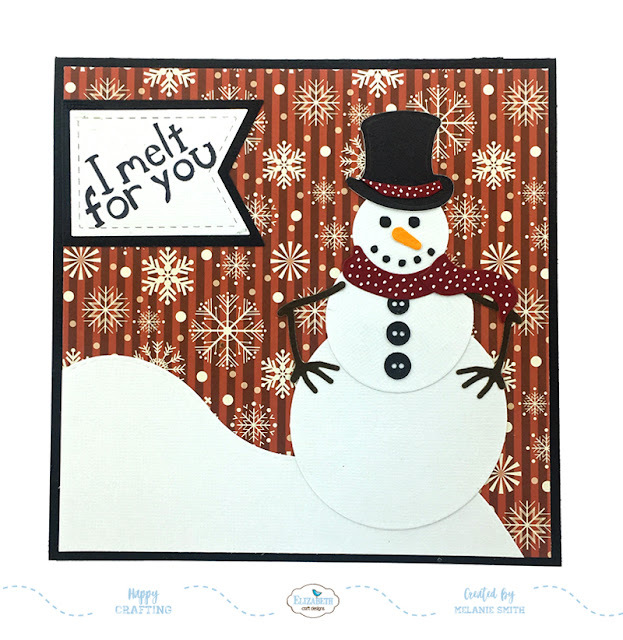 There is only one stamp used in this card and that is for the sentiment "I melt you" from the Holiday Cheer clear stamp set. 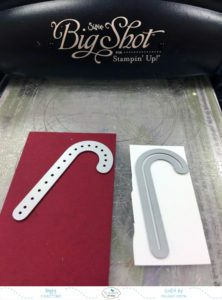 For card base cut a piece of dark card stock to 6"x12" and score/fold in half. From the "It's Christmas Time" 12x12 paper pack cut a 5 3/4 x 5 3/4" square of this adorable snowy paper, attach to card front. Use "Adventure Edges" die set to create the snow in the scene with white Soft Finish card stock. The same two card stocks were used to create the sentiment from the "Stitched Fishtails" die set. 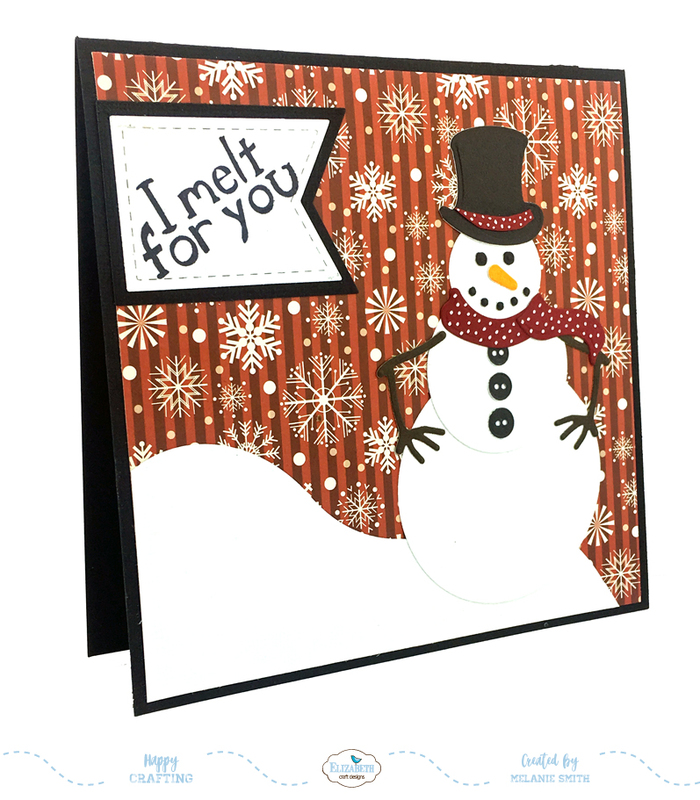 Using the "Stylish Snowman" die set along with Black, white, red, and a tiny bit of orange card stock you will cut out each piece. 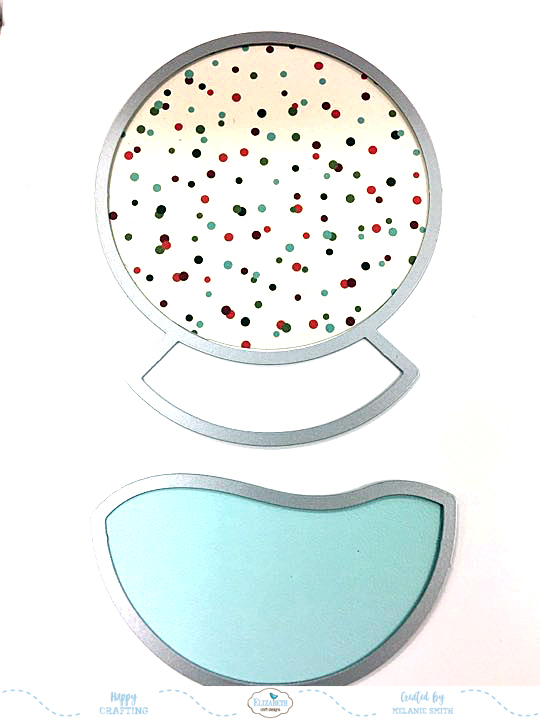 A simply pair of tweezers from your bathroom can be an invaluable tool for the tiny pieces. The focus to detail with ECD dies really sets them apart from other competitor brands. 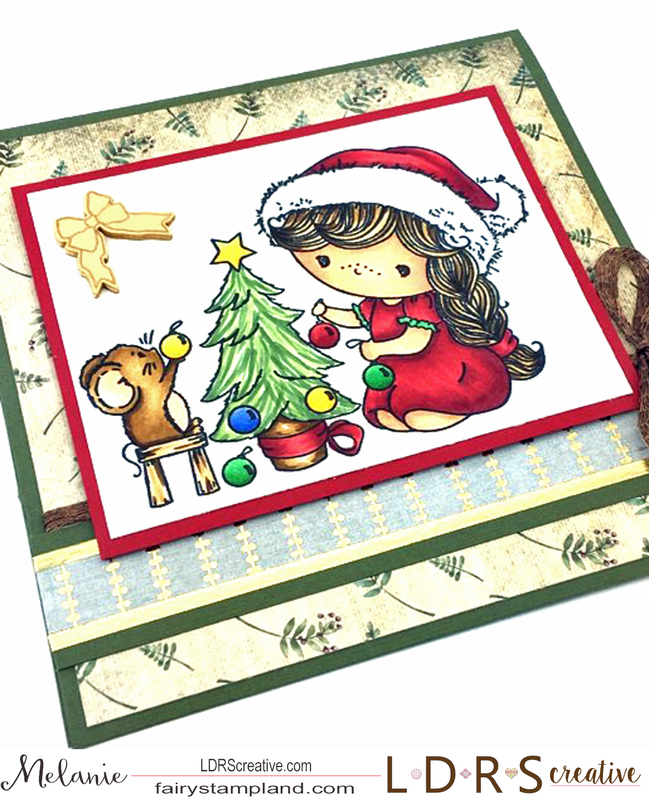 It's Christmas Time Paper Stack 12" x 12"
I have faith that I have inspired you today. 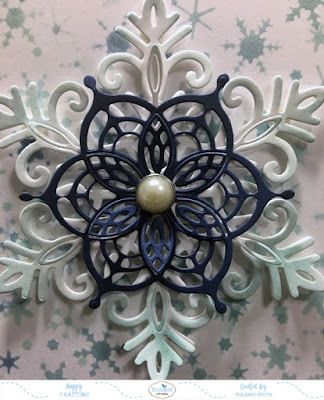 To purchase all your Elizabeth Craft Designs dies along with many other amazing products simply visit their Online Store or their Company Blog. Today I have a festive Christmas card to share with you made with Little Darlings products. 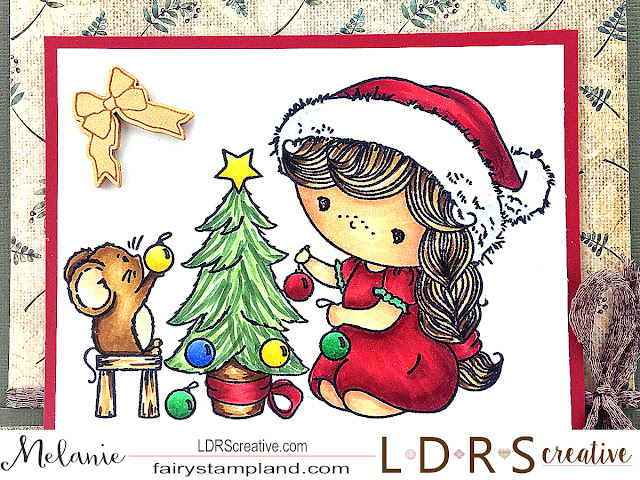 This is such a cute stamp. It is called "I Can't Reach", isn't it adorable? 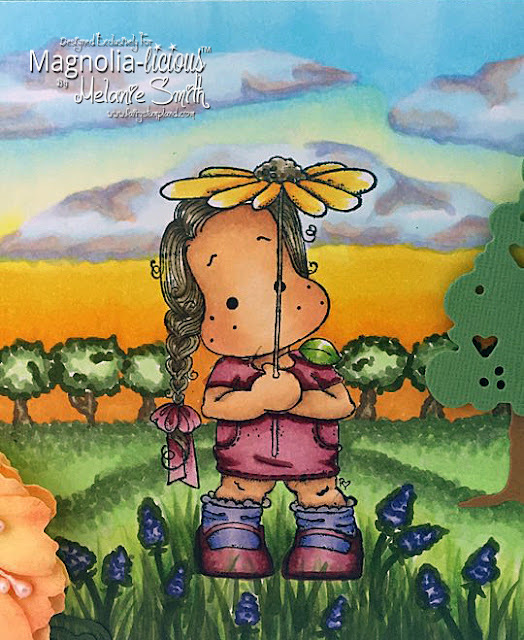 Below is a close up of my coloring. 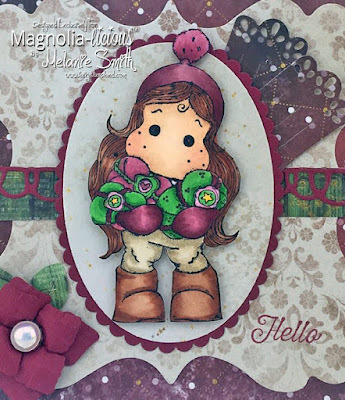 I have used Copic markers in the following colors to hand color my stamped image. For embellishments I have used a wooden bow element painted with some Wink of Stella. 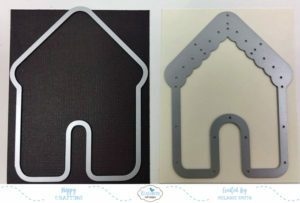 Copper Trim for the mesh bow, and washi tape for the horizontal striped piece of card stock along the bottom of the card. 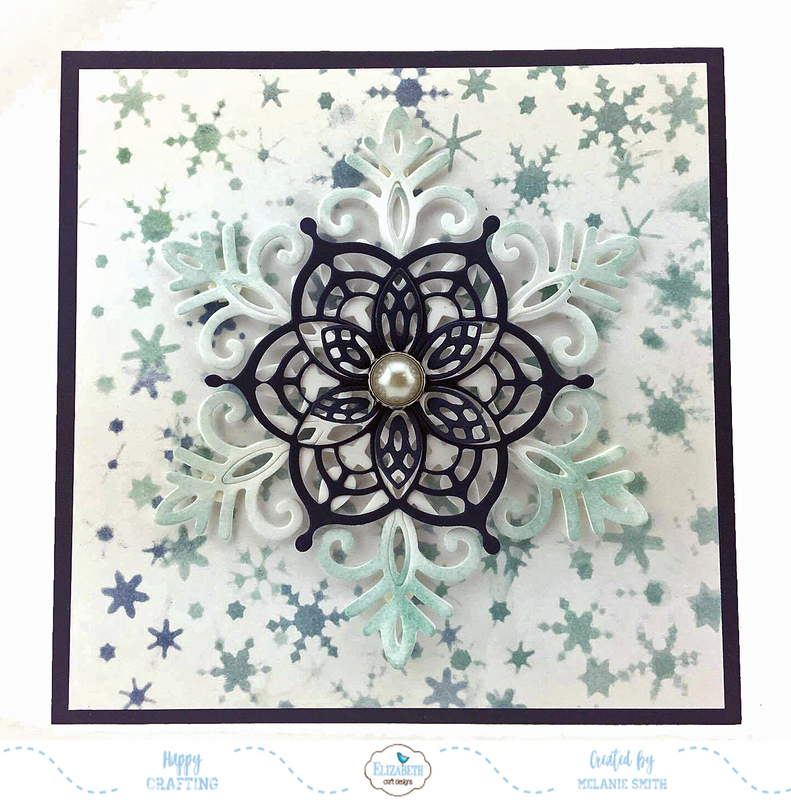 Today I am playing around with the new "Snowflake" dies from Elizabeth Craft Designs' winter collection. I just love how this turned out. 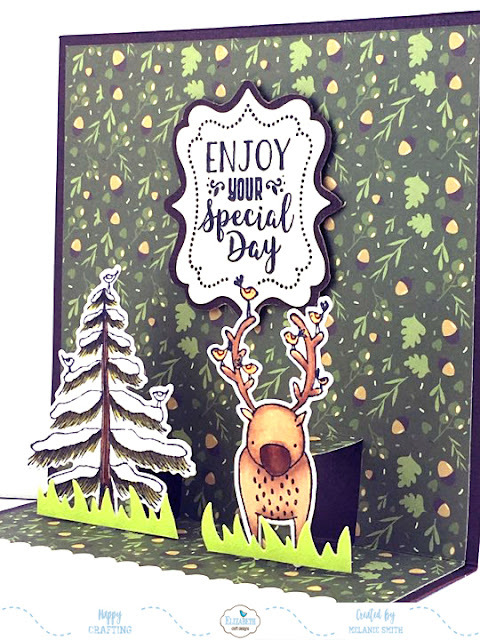 Cut your darker card stock to 5" x 10" and fold in half creating the card base. Use light and dark blue inks along with a Tim Holtz sponge, and color over the stencil in various directions to achieve a snowflake background to your linking. 4. 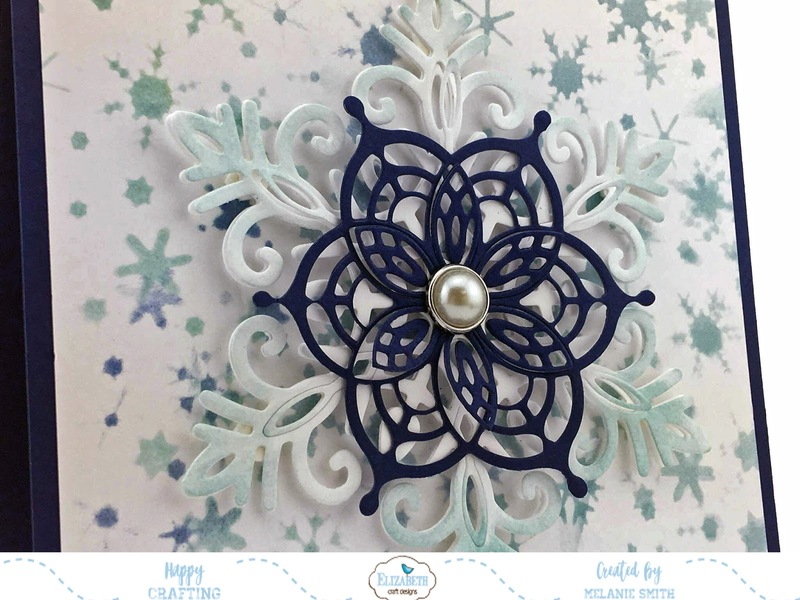 Next die cut snowflake dies in desired colors. 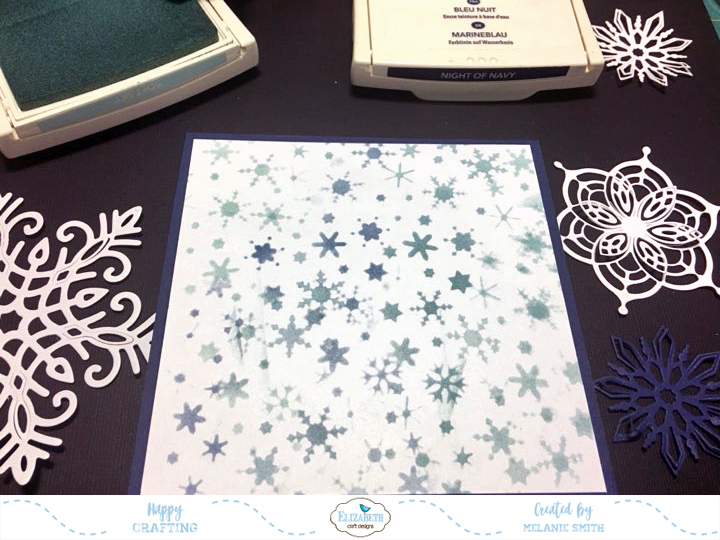 Cutting 2 of the largest snowflake, glue these two together to create a thicker snowflake. 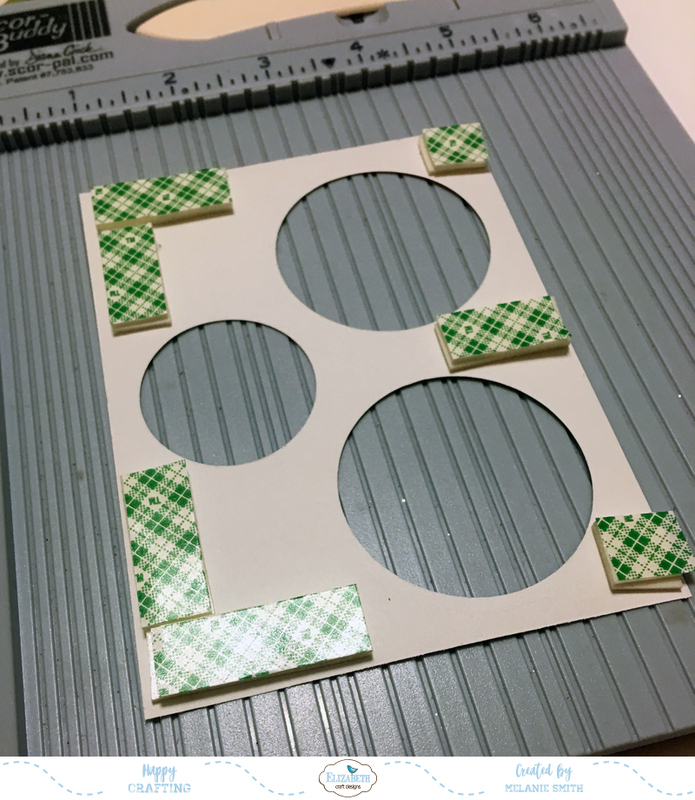 This helps when inking and it gives a sturdy base for the entire design. 5. 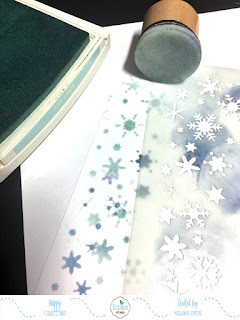 Using the sponge again sponge the tips of the largest snowflake in light blue ink. 6. 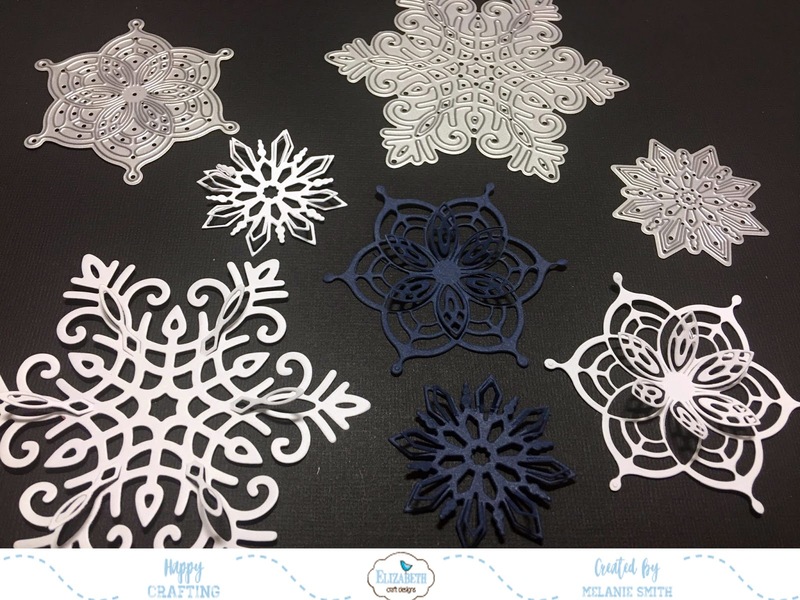 Using foam tape, cut in thin pieces and attach to the back of the largest snowflake. 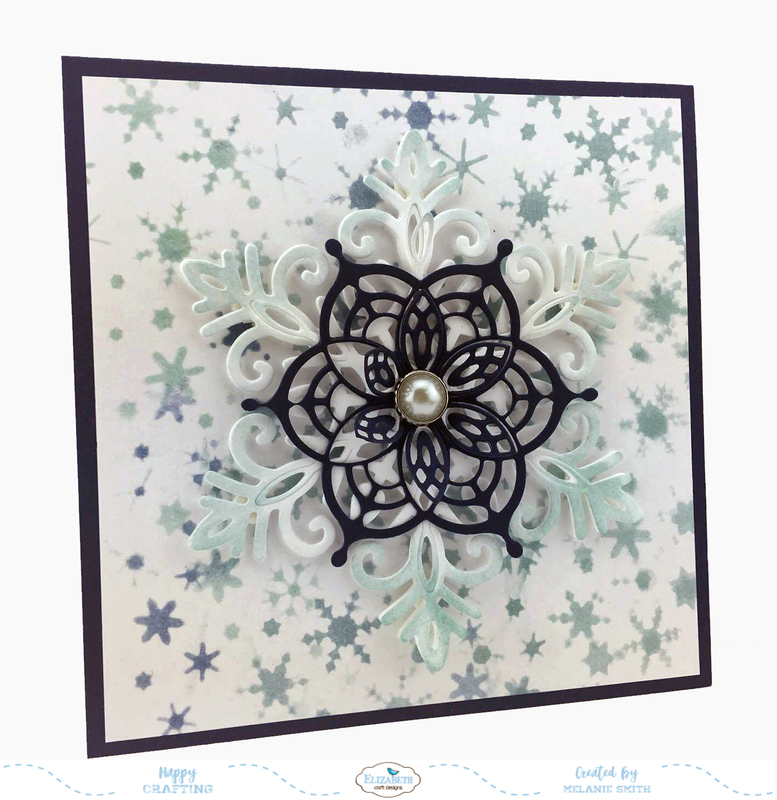 Adhere the snowflake to the card front. 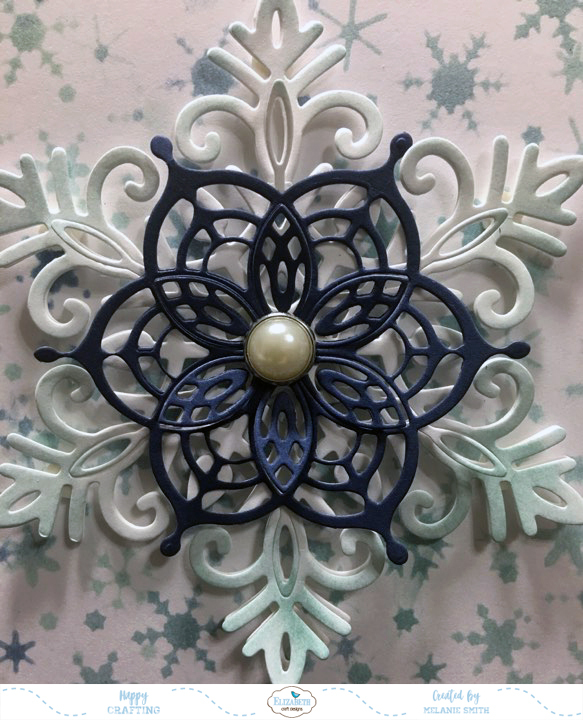 This give the snowflake even more dimension. 7. Using Kids Choice glue adhere the snowflake piece together and add a large pearl to the center. 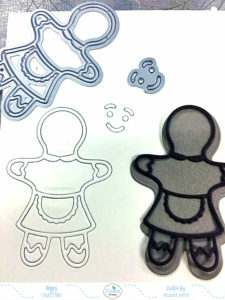 Here is the final result. 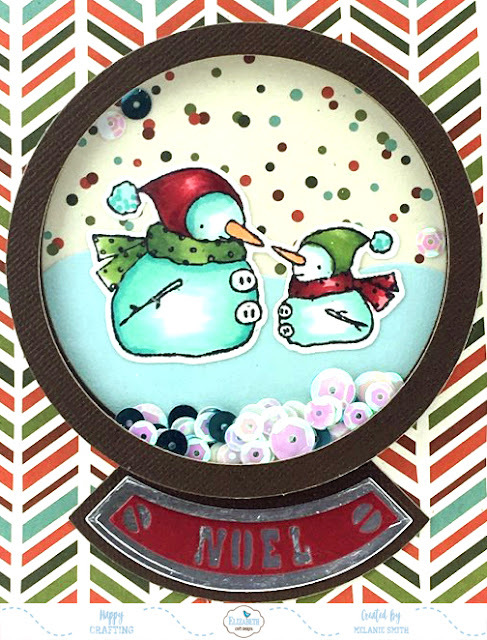 I hope this inspires you to get those dies out and play. They make the most exquisite projects.